If we were truly a nation under the rule of law both Hillary Clinton and James Comey would be in prison. Instead we have a two-tier justice system protected by the establishment and the mainstream media. It stinks! The Hill reports President Trump on Sunday again tore into James Comey, accusing the former FBI director of making decisions based on the fact that he assumed Hillary Clinton would win the 2016 election. 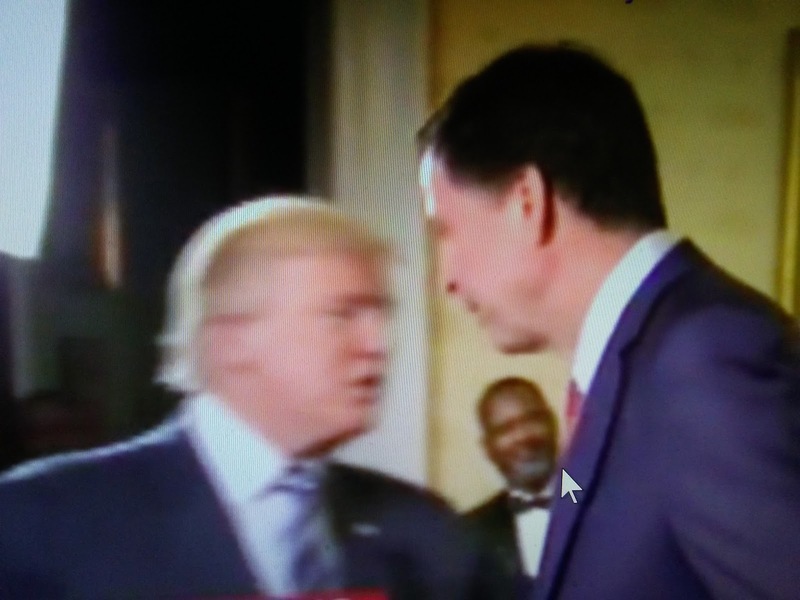 "Unbelievably, James Comey states that Polls, where Crooked Hillary was leading, were a factor in the handling (stupidly) of the Clinton Email probe," Trump tweeted. "In other words, he was making decisions based on the fact that he thought she was going to win, and he wanted a job. Slimeball!"